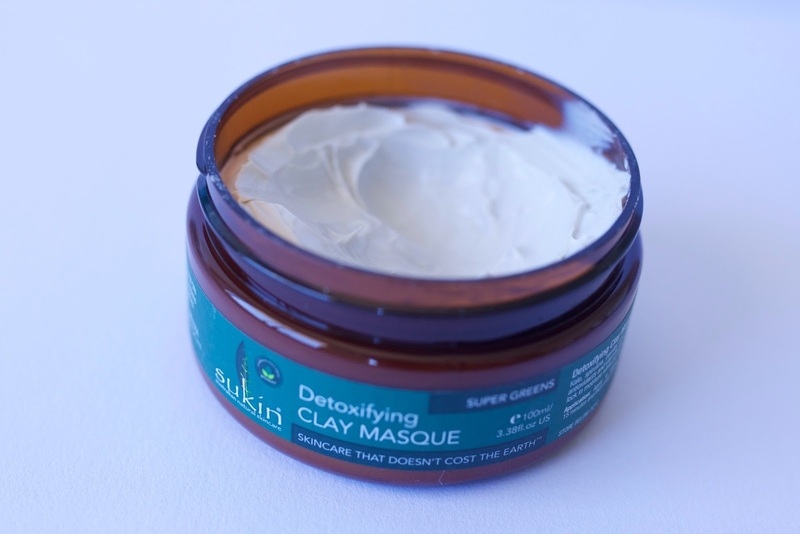 Hello lovely :) today I'm back with a review of the Sukin Super Greens Detoxifying Clay Masque. My sister gave this to me for Christmas in a nice gift pack with a cleanser and moisturiser. Although I use and love all three products, I thought I would write about the clay masque specifically. 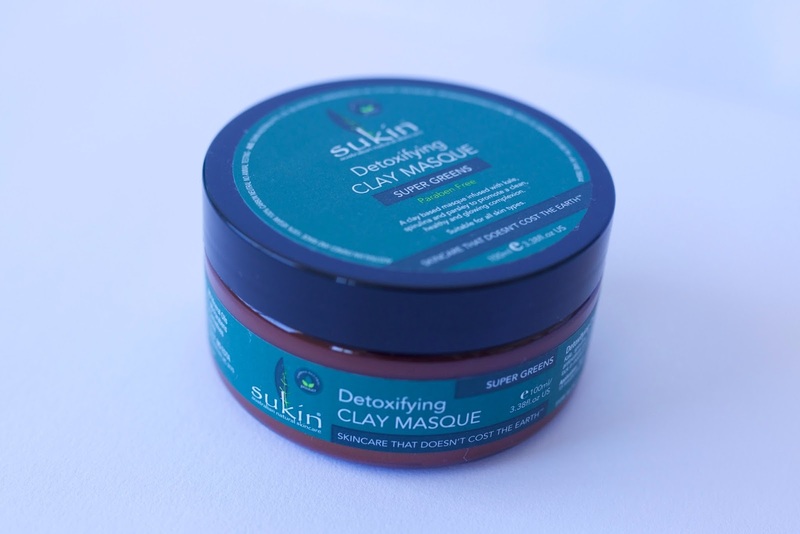 "A clay-based masque infused with kale, spirulina and parsley to promote a clean, healthy and glowing complexion." After reading what was in it I expected the clay masque to have a very distinct herb scent. However, it actually smells very pleasant and is more on the sweet side. I really like the texture of this mask as it is on the slightly thicker side without feeling overly heavy. I usually cleanse, pat dry then apply an even layer of product all over my face. The drying time is approximately 15 minutes, but occasionally I'll leave it on for longer while doing something else. Afterward, I rinse it off then pat dry again, leaving my skin feeling fresh, clean and smooth. My combination skin can be quite sensitive and prone to break outs so I get anxious trying new products, but so far I have never had a bad reaction to this. "Kale, spirulina, parsley and chlorella offer a super green blend of detoxifying antioxidants and vitamins to promote healthy, youthful skin. Avocado and baobab lock in moisture while goji berry encourages a dewy complexion." 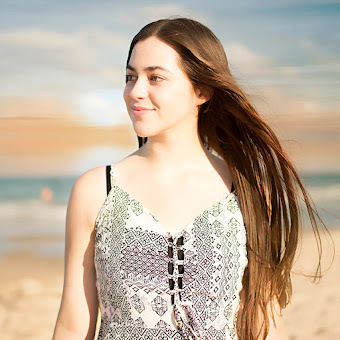 The brand Sukin is Australian owned and made and 100% vegan. Even though I'm not personally a vegan I thought I would let you know anyway. I will definitely purchase this when I run out of my current tub. I know you can get this Priceline. Let me know if you enjoy these posts! Hi Layla! 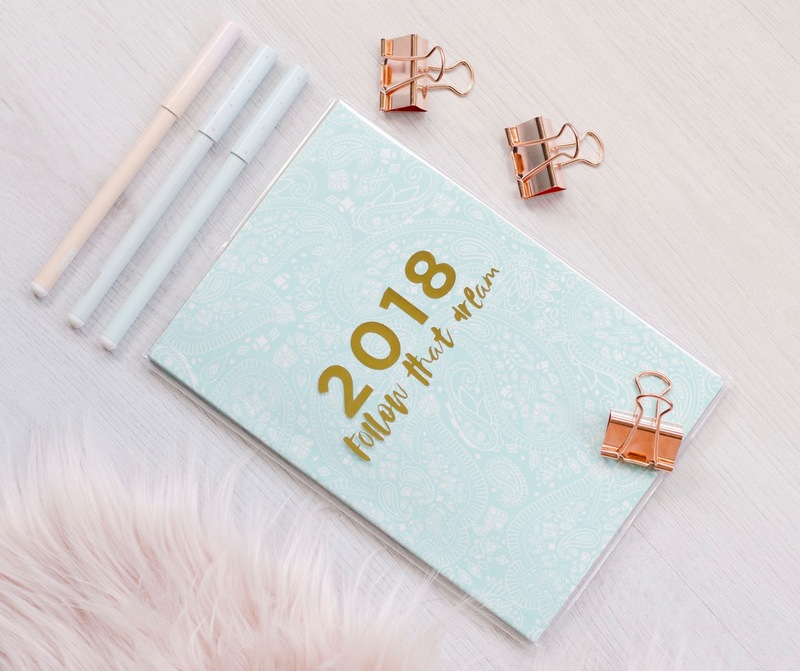 Thank you for taking the time to read my post :) Yes there definitely is a high demand for vegan friendly products, even though I'm personally not a vegan. Hi lovely! Yes I would really recommend the Sukin brand. Try out the different ranges!